United Airlines announced Wednesday that more than 100 channels of live television will now be available for free on the 211 Boeing 737 planes equipped with seatback screens. The carrier will offer free live DIRECTV at more than 30,000 seats, as well as hundreds of movies and TV shows available on personal devices through the airline's collection on the United app. 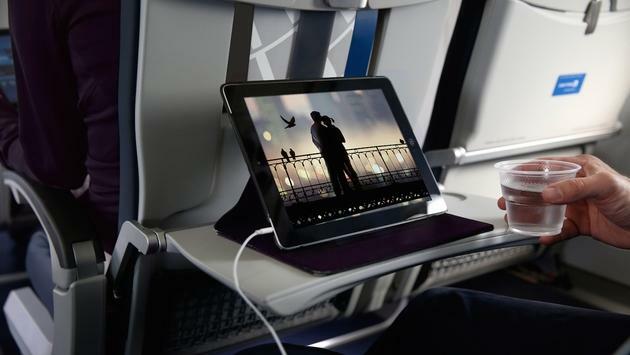 In addition, United expanded its personal device entertainment product to aircraft that previously only offered DIRECTV, providing an option for customers to use their phones, tablets or laptops to access a library of more than 280 complimentary movies and TV shows. The carrier also made improvements in its entertainment options for customers with hearing and mobility issues through its Accessible Entertainment menu category available on seatback on-demand systems.